Our long awaited remix album in collaboration with Mr Zebre and Rebel-I will be out for free download on the 16th of April 2016. 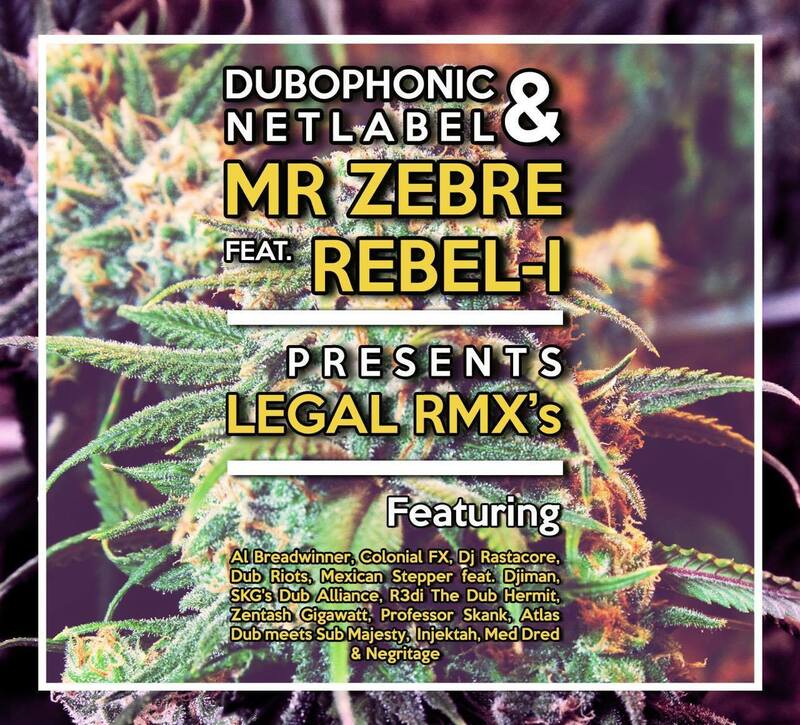 The Legal Rmxs is the result of the remix competition, which has been running for the last months. Everyone had the opportunity to submit their own version of the song (remix, dub, rework). We received around 40 submissions and we would like to thank everybody for their contribution. Of course it was not possible to put all mixes on the release ... but you know that dub music has nothing to do with competition. It has to do with the message we spread and with the vibes, and that big feedback proved that dub music has no borders. It is an international movement, growing stronger day by day. Big up to each and every one for the great vibes and also for the hard times you gave us, till we came to the final decision. Every version was unique! Here are those 13 versions who made the final cut.